But who are the people who make decisions on nuclear weapons? Determined to find out, I went back to the UK and started a research group round my kitchen table. I called it the Oxford Research Group. 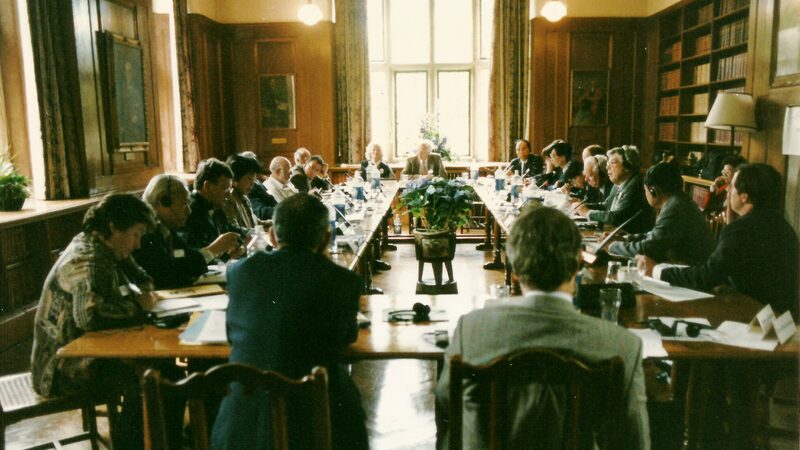 Scilla chairing a meeting in Rhodes House, Oxford, when a delegation of Chinese nuclear weapons decision makers visited in 1997 for talks with their opposite numbers in the UK. 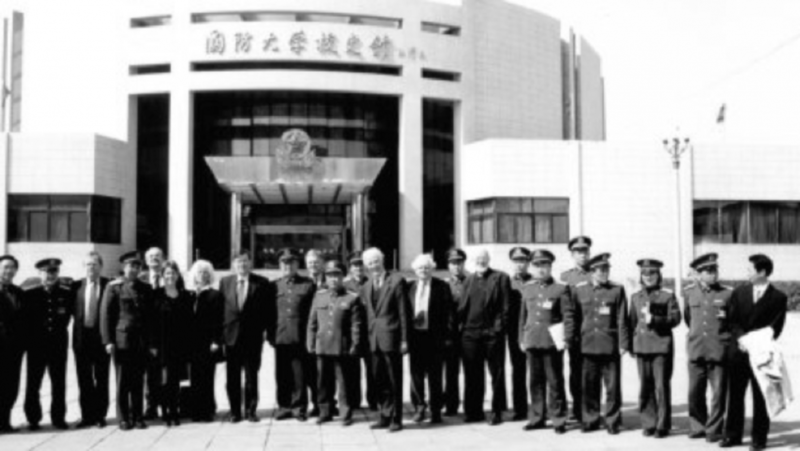 Fast forward a decade, by which time we had carefully and steadily established a series of dialogues between Chinese defense decision makers and their US and British counterparts on the most sensitive of issues: the proliferation of nuclear weapons and fissile materials. For our third visit to China, I was able to include in my delegation a British general and an air marshal, a German admiral and a US warhead designer; so the Chinese responded and arranged meetings for us with the key actors in Chinese nuclear policy. My delegation was dumbfounded by the access to that we were able to arrange – the kind of access that built human bridges across ideological divides.